Unai Emery has made six Arsenal changes ahead of the Monday Night Football clash with Watford with an eye on Thursday’s Europa League quarter-final with Napoli. 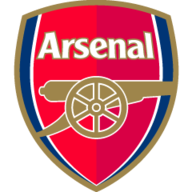 Arsenal are 2-0 ahead in their fixture with the Serie A side and must travel to Italy this week, with six players rotated around from last week’s fixture. Get the latest updates plus in-game clips and highlights from Vicarage Road by clicking HERE! Sokratis is suspended while Petr Cech, Sead Kolasinac, Mesut Ozil, Ainsley Maitland-Niles and Alexandre Lacazette starting on the bench. In come Bernd Leno, Henrikh Mkitaryan, Alex Iwobi, Shodkran Mustafi, Konstantinos Mavropnos and Granit Xhaka for the trip to Vicarage Road. 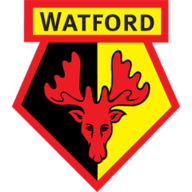 Watford made it to the FA Cup final in dramatic fashion last weekend and Javi Gracia has made three changes from their win against Wolves. Adrian Mariappa, Roberto Pereyra and Jose Holebas (hamstring injury) drop out while Daryl Janmaat, Christian Kabasele and Adam Masina come into the XI. With the Sky Sports app, you will be able to see goals within minutes of them hitting the back of the net, as well as match highlights from all games 15 minutes after the final whistle – all you have to do a is add the Sky Sports App to your phone and log in with a free Sky iD for the full experience. Watch Watford vs Arsenal live on Sky Sports Premier League and Main event from 7pm. David Jones is joined by Jamie Carragher and Gary Neville. Kick-off is at 8pm. WATCH: Cohen's amazing diving TD!